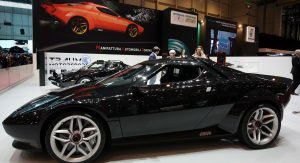 Manifattura Automobili Torino (MAT) has the rights to build 25 units of the New Stratos (yes, that is the official name! 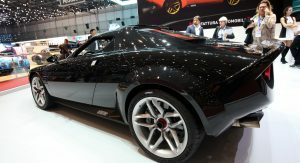 ), and they have brought the original concept to Geneva to preview it. 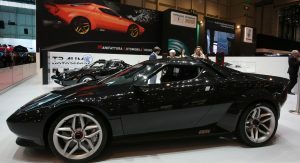 Displayed alongside the legendary Lancia Stratos, the study remains unchanged, although it does have a new logo at the front, and the same Ferrari F430 Scuderia underpinnings. 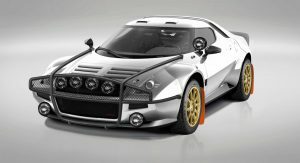 As per the official spec sheet, the New Stratos is powered by a 4.3-liter V8 engine that churns out 540PS (532hp) and 519Nm (383lb-ft) of torque. 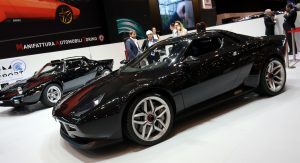 Performance wise, it needs 3.3sec for the 0-100km/h (0-62mph) acceleration, and 9.7sec to reach 200km/h (124mph). 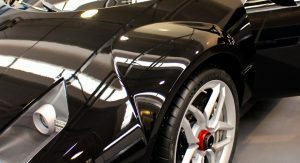 Top speed is said to be 330km/h (205mph), and the car can come to a complete stop, from 100km/h (62mph), in just 2.2sec. 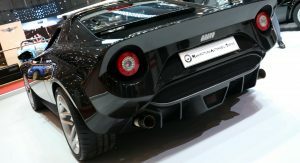 The small Italian company doesn’t say whether the actual production model will keep the Ferrari F430 Scuderia powertrain, and if it does, there is a bit of a mystery here. 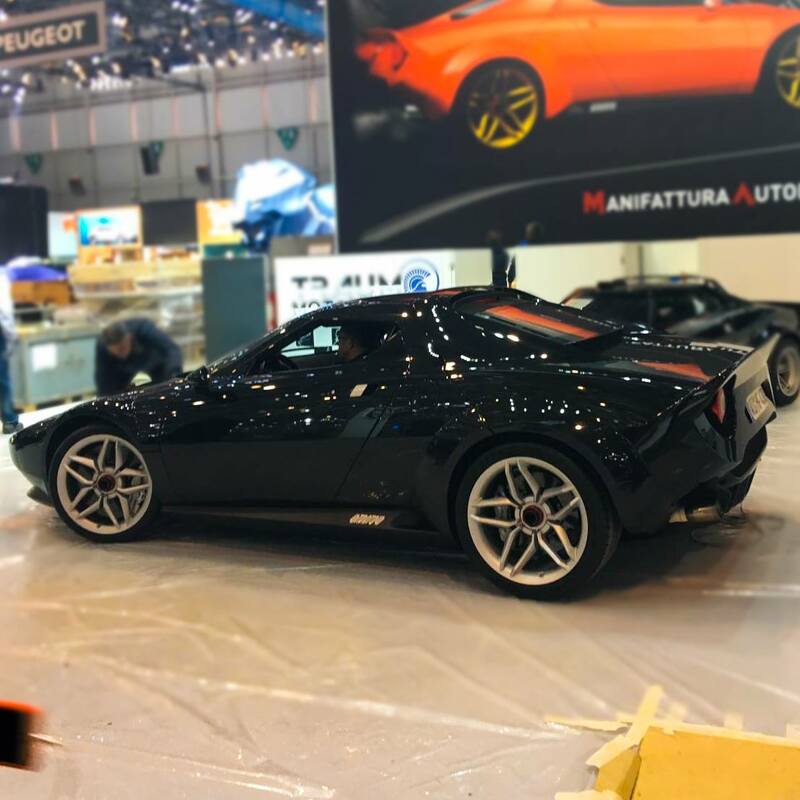 Will it be made by MAT from scratch, using the supercar as a starting point, or will customers be required to bring the Scuderias in for the transformation? 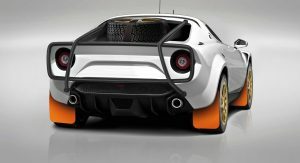 Either way, this will probably be an instant collectible, given its visual ties to the iconic Stratos, which not many could afford. 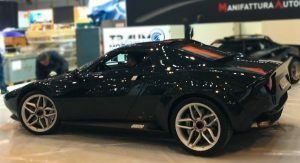 It’s been reported that it might sell from around £600,000 (~$830,000), in the UK, so this makes it some $300,000 more expensive than the original Stratos, which, by the way, comes with a racing pedigree, too. 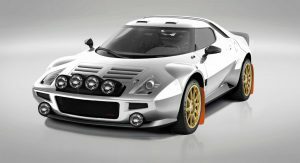 Billed as “a supercar for the daily use”, the New Stratos will receive two more members: the GT racer and Safari, which MAT is previewing in a few renderings. 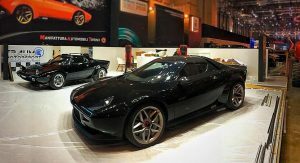 Just like the ‘regular’ one, these too are designed by Pininfarina. 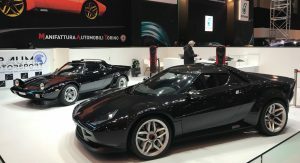 Both of them have four circular lights at the front, and another two mounted a bit lower, reminiscent to the Lancia Stratos rally car. 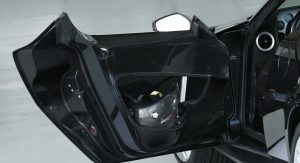 The other model adds an exoskeleton at both ends, spare wheel at the rear, spotlight on the driver’s side, right above the door mirror, and smaller wheels. To call this crazy is a strong enough word. 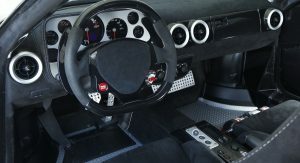 They should post the pictures of every fool with a F430 or Scuderia that agrees to have this done to their car. Are you sure?…. Gurl Bye! I don’t mind if it’s regular 430, there are dozens everywhere in the world. Looks cool, neat idea. 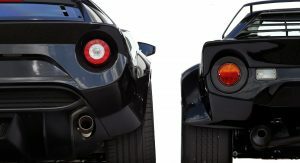 just dont destroy any Scuderia’s. Obviously a lot of assumptions here, maybe its a good idea this company divulge where and what power train will be used, and where its sourced from. 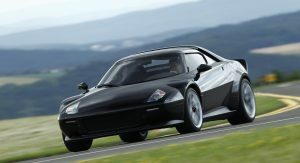 Based on the chat that I got, you can use any 430, since Scuderia is expensive, most customer will opted for regular 430 and then being modified up to 610hp. 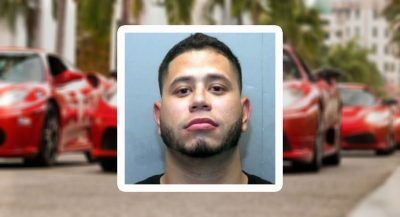 Even worse, originally they threaten anyone who works with this project if they ever work with them to make the car into production. 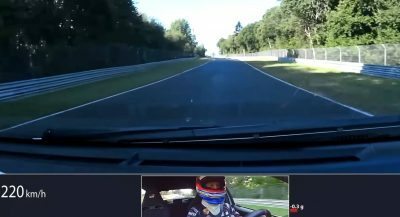 ENGLISH REVIEWERS LIKE TO PUT POTATO CHIPS IN THE GLOVE BOX AND GIANT BOTTLES OF WATER IN THE DOOR…THIS HAS ONE UPPED THEM WITH ROOM FOR A RACE HELMET. 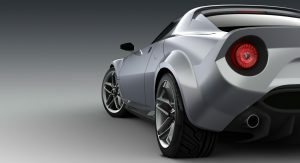 Love the rendering, don’t love the actual car. Just doesn’t pique my interest somehow. That girl looks friggen HOT in that 1960’s minidress! 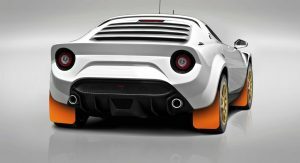 I don’t know why CS team is confused, the company has confirmed they will used 430 as a based, customer can either have their car or let MAT sourced it for them, the car will still listed as Ferrari, like Venom GT that is listed as Lotus. 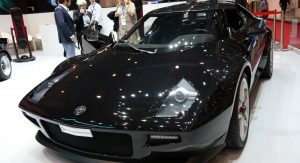 The original New Stratos was based on 430 Scuderia, but since Scuderia price has increased, many customer will opted for regular 430 and then upgraded to Scuderia spec and 610hp engine. 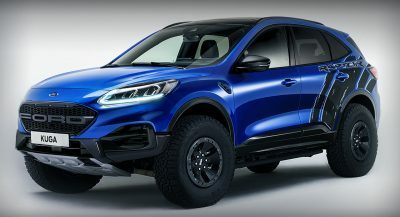 Reminds me of a Pontiac Fiero with a body-kit and power-train swap. 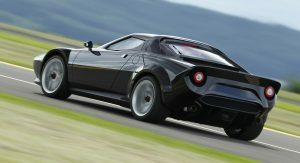 I remember there was a report about Lancia’s managers and executives begging FCA brass to let them do a car as a tribute to Lancia. 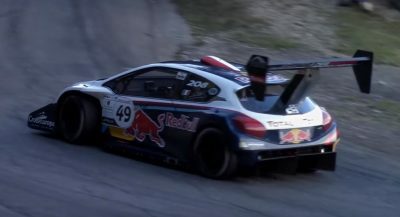 (Reportedly a tribute to Delta Integrale) but the top brass simply reject all of it.